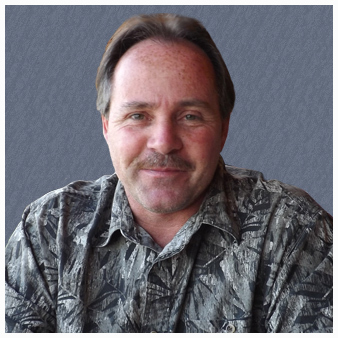 Mark Conklin established Mark Conklin Builders in 1987 under the parent company, Conklin Construction Corporation. Located in Clark, New Jersey, Mark Conklin Builders proudly serves Northern Ocean County and Coastal Monmouth with an unmatched level of excellence on all of its projects, embracing accountability and consistency. Today, the team at Mark Conklin Builders is made up of experienced craftsmen that provides every client with superior customer service and the highest standards of builder professionalism, giving exceptional value to every Conklin home. Mark Conklin Builders delivers on its promises and is dedicated to building relationships with its clients in order to make the homebuilding process organized and stress-free. This is what differentiates them from their competition and keeps clients coming back. From custom built homes and complete teardowns to full renovations and additions, Mark Conklin Builders will be by your side every step of the way. Mark Conklin received a B.S. in Business Administration from the University of South Carolina in 1986. He then established Mark Conklin Builders in 1987 and began his homebuilding journey. Today, with over 30 years of experience in the industry, Mark specializes in building luxurious custom homes and estates along the Jersey Shore using quality craftsmanship, integrity and innovative building methods. Mark Conklin has built and/or renovated exquisite custom homes in Sea Girt, Manasquan, Brielle, Point Pleasant Beach, Bay Head, Mantoloking and Normandy Beach. Repeat clientele and referrals are testaments to Mark’s dedication to providing quality built custom homes and stellar service from start to finish. Mark Conklin Builders proudly serves Northern Ocean County and Coastal Monmouth. From custom homes and large renovations to home additions and teardowns, Mark Conklin Builders will exceed your expectations using quality craftsmanship, efficiency and integrity. As a premier New Jersey home builder, Mark Conklin Builders is committed to accommodating your every need during your home’s construction or renovation. At Mark Conklin Builders, we’re experts at working toward building a custom dream home for you. Call or fill out the form for more information. We know you’ll be thrilled with the quality and reliability of your Mark Conklin constructed home.